Since you plan to spend a lot of money – take a good look at the Van before you commit to anything. Test drive and have it checked from a mechanic. Look for rust and if you have a ODB2 scan tool, use it AFTER the test drive to check for any error codes. Most car parts store have a scanner and they test for free. Get a car history report from Carfax or Autocheck. Some dealers will give you a printed report but I would still check online – better safe than sorry. Also ask about all the receipts, inspection and maintenance records. Don’t trust the sellers description about maintenance and exchanged parts: It’s only true if they can show it to you on paper. 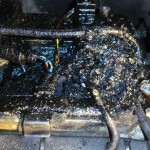 Over time, the injectors can leak diesel and that fuel can bake on on the engine head around the connectors. When you inspect a T1N Sprinter you need to take off the plastic cover on top of the engine which is easy to do by removing the 5mm Allen bolts holding it in place. 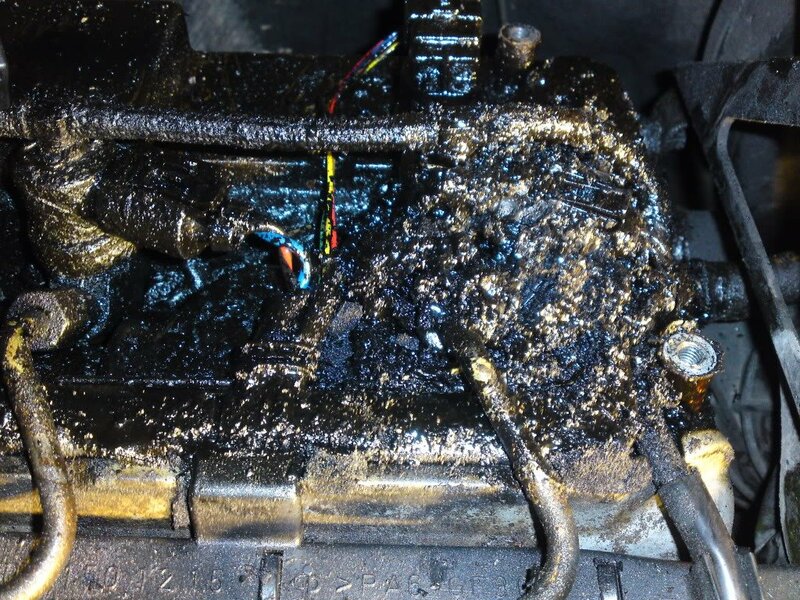 Its not a big deal if you spot this issue early and a pretty easy fix (remove the injectors and replace the injector seal) but it gets harder the more baked on fuel you have locking your injectors onto the cylinder head. This is an issue that can be found on Sprinters built between 2004 and 2006 where the plastic turbo resonator fails at one point. This is an easy fix by either replacing with a new plastic resonator or upgrading to an aftermarket resonator made out of aluminium. There have been reports of seized glow plugs on T1N engines. Be extra careful when replacing glow plugs – a good idea is to apply penetrating oil days before you try to remove the glow plugs (same applies to fuel injectors!). If you can’t remove the glow plug don’t use excessive force; breaking the plug is equal to a engine head replacement. Rather spray some more penetrating oil and wait a few days longer. Make sure that the fuel line clips are in place. These little things make sure that the fuel lines are held firmly in place and don’t crack due to vibrations from the engine. If your dream Sprinter is not local ask the seller for as many, detailed pictures as possible before you make a decision to go and look at the Van. After a long flight you don’t want to be surprised by the rust holes in the frame or the leaking engine. Try to find reviews about the dealer (eBay: look at the sellers feedback!). You can also have a professional mechanic take a look at the car on site for you; of course for an additional fee. Just make sure that its an independent company and not someone that the dealer recommends. If you’re ready to close the deal: Most sellers will ask for a deposit, which I think is only fair since you ask them to not sell the Van to someone else until you show up. Don’t send too much money. In my opinion $500 is enough. Never send Cash! Use your credit card or PayPal because with both you have the chance to file a dispute if something goes wrong later. For the final Payment I personally prefer again not using Cash. A Cashier’s check is like cash but has the name of the seller on it, so only the seller can actually cash it in. If the seller accepts credit cards – go for it. You could even use your cash back credit card and get a little discount with that.